TOYOTA OF DOWNTOWN LA HAS BEEN SERVING CUSTOMERS FOR 3 YEARS. WE HAVE NOW MOVED INTO A NEW BUILDING. COME DOWN AND VISIT US! How Does Car Financing Work? Only 2 XSE models left in stock! It was verty interesting and very satisfying to be there at the dealership. We were greeted with a smiling faces altheway. Our sales person phylip was exceptional. Our finance wilder was exceptional. All in all we had a smooth car buying experience. Thank you. Very happy with the service I received . Wil refer others to this dealership. Really happy with my salesperson, Philip Kim. He was very responsive to all my questions. Jin, Philip, and Oscar were professional from start to finish. Philip responded to all of our emails in a timely manner. Jin clearly explained all of our options, worked with us during negotiations, and walked us through all of the features of the vehicle. Oscar was organized and made the paperwork easy to follow. Parking is a nightmare, I don't like to be told prices aren't negotiable, all prices are negotiable. No hagle only means that the dealer is unwilling to hagle, bad practice! Now to what I liked. Clean competitive prices on what looked like a nice used car selection. I was there to look at one vehicle and your staff did take than and run with it which got me in and out of there in a timely fashion. So far very pleased with the our purchase! The service at downtown la toyota dealership was great. The paperwork was done quickly. We really enjoyed our time shopping for a new car. Highly recommend. The GREATEST COSTOMER SERVICE !!! Phil Kim...the Very Best there is. Great sales associate. You need more staff like him. Very professional,great personality,very helpful...spot on. Caters to all my needs. Keeps me posted on whats goin on with my new car cuz i had a custom made interior. He's kind,respectful,good sense of humor w/c ic is very impprtant to have ! Thanks to him also to Mr.Richard Silva,Frank & Brian. Great of a Team. That's the key to success. Awesome experience. Thanks to all em. They gave me a good price on the new car and I had excellent experience dealing with Philip. He was very patient because it was my first time buying a car financed. Philip Kim was helpful, fast, and attentive to client needs. We were in an out super quick, which is what I was looking for in the car buying experience. We love the car, Philip had some great knowledge of what Toyota has to offer. Nice facility and good location. My sales rep Richard was amazing. Very knowledgeable of the vehicles and helpful during the buying process. Would definitely recommend and will return here again. Was looking for a out the door price and they gave me a awesome ho haggle price. Would definitely recommend. Ask for Richard Silva or Philip Kim. I shopped so many makes, models, and dealerships for my recent car purchase. It was exhausting but I didn't want to settle. DTLA Toyota was the most polite, professional, and helpful of the bunch. I knew I loved the car, but they made the process the best it could be as well. Excellent experince buying my new Tacoma! The staff was timely and knowledgeable! I was looking for a new Tacoma and got assisted in finding the tmright one for me! Very happy! My girlfriend bought her first Highlander from Jin and Philip last night via the Costco car buying program. I want to say that this was the easiest car buying experience I’ve ever dealt with. Jin and Philip were very helpful and attentive. Jim gave me the Costco price via email and we had a deal within 2 hours. Going to the dealer usually is very stressful but this was a no stress experience. Philip is a wonderful, considerate and intelligent dealer who helped our family get a great car for a fantastic deal. He handled the process with care and is incredibly personal. Also, he recommended a great restaurant afterwards because we were super hungry. Thanks Philip! My daughter and I came to this dealership thinking about getting two new cars. We came to this dealership and Philip helped us out right away. He is extremely knowledgeable and helped us get our cars with great ease. If you ever go to Toyota of Downtown L.A., ask for Philip! He won't disappoint you, and you will walk out of that dealership with a huge smile on your face and a brand new car. Best Toyota Dealership in Los Angeles! I requested information through Costco and was contacted by Philip immediately. From the start, Philip was professional, accommodating and knowledgeable. When I let Philip know that I had a tight schedule on that day, he went through the trouble of having the car detailed and gassed up before I arrived. He was very thorough when explaining the car's many features, and gave very clear information every step of the way, in particular when talking about my financing options. I will definitely seek Philip out for our next car purchase! When I was searching for a new vehicle, Philip was able to help me out better than any other associates at Longo Toyota, Culver City Toyota, Toyota of Orange, Toyota of North Hollywood, and other dealerships around Los Angeles and Orange County. He treated me with true service, both quickly responding to my needs and making sure we could find the best price possible. Philip and his team cut straight to the chase too, there was no extra runaround or fluff sales. I was able to roll away in the exact car I wanted for the exact price I wanted. How often can you say that? If I ever need another car, will absolutely stay with Toyota and Toyota of Downtown LA. You should too! You can thank me later! I was in the market for a new truck and this dealership was awesome! It’s the biggest toyota dealership i have ever seen and the staff was super professional and friendly. They had a wide range of trucks for me to choose from and my salesman Philip Kim was very knowledgeable and professional. I talked with Phillip on the phone before going in. He was easily the most helpful sales person I've dealth with when buying a car. There were a few snags with finance processing the paperwork. Phil was on top of it and checked in with me periodically to ensure things were moving forward. The sales rep Philip knows Toyota cars well and explained us the details of the cards. He does not recommend wrong things and provide prompt servies. The Toyota also delivered the same or better car w/o changing the promised price. I had excellent service from Philip Kim. I was so impressed with his customer service demeanor and how patient he was with my questions and concerns. This type of service is a thing of the past. I went through the Costco Auto Program which eliminated the haggling. Philip contacted me to set up an appointment, took down all the info of what I wanted, reconfirmed on the day of my visit and had the vehicle waiting for me when I arrived. Philip was such a gentleman, personable and yet very professional. He is definitely an asset to the dealership. I also had a very nice Finance person, Aurelio Lopez. He too was very patient with my many questions. I would and have recommended Downtown Toyota. The sales man Phil Kim is nice and help me to make the deal thru . And Toyota down town LA is very convinience for me. Philip displayed excellent customer satisfaction! My finance manager as well as Philip displayed great professionalism. I would highly recommend friends and family to go to them for their New/Used purchase! All the way browsing around the dealers near LA, but the price and finance rate were the best. And Philip Kim, the sales guy and Georges Kalaja, the finance guy are super kind and friendly. Philip Kim provides straightforward numbers and made it easy to buy a new Sienna. I highly recommend contacting Philip for your next Toyota. After working with three other Toyota dealerships Internet Departments, I found Toyota Downtown LA to be not only aggressive in pricing but also the easiest to work with. Hi there! My name is Ray Lewis and have been doing sales all my life. The joy of seeing a customer happy with their new purchase keeps me inspired in what I do. With a degree in Consumer Affairs, customers are always my main focus and I pride myself in the level of service I deliver to each and everyone. I thrive in an energetic environment and enjoy working with others to help reach my customers needs. My hobbies are collecting limited edition sneakers such as Nikes and Adidas just to name a couple. With this passion of mine, I am sure I can understand your car buying expectation. I can’t wait to meet your expectations and see you drive off with your beautiful new Toyota! I purchased a car through the Costco auto buying program and dealt with Mr. Ray Lewis at the dealership. Mr. Lewis is the Internet Sales Manager and it was his professionalism and personal care that made the selection and purchase of a new car easy. Ray was extremely nice and patient with me. He knew what I wanted and gave me different options. I was able to get the car I wanted for a decent deal. He’s one a kind and if you get the chance to do so, work with him!!! This team was very helpful and did their best to get me a reasonable deal. Ray was very helpful and always patient in terms of seeing that all of my questions/concerns were addressed. HIGHLY RECOMMENDED!!! I love the service I received. Ray Lewis made my first time car buying experience so amazing. I got the car I wanted at the price I wanted and needed. He went over everything with me until I understood and never rushed me or anything. I would send everyone I know to Toyota of DTLA. Excellent, friendly personnel, hassle free process. Just a couple of visits was enough to make a choice. No other dealer contacted or any other brand. Sales rep was very nice he was courteous and addressed all my concerns and led me through a smooth process. How car shopping should be. This is the first time I’ve felt comfortable inside a car dealership. Raymond treated me with respect and carefully explained anything I didn’t understand. He worked with my budget and I was able to drive off with a new car (to me) for the new year. I smiled the whole drive home. Thank you Raymond for not losing patience with all my questions and negotiation. A win-win compromise, the great compromise. Ray and Maria were amazing in being available to answer all my questions. There were a few hitches in the buying process but Ray did an amazing job keeping in touch and making sure I was satisfied with my purchase. Not a fan of dealerships! This was the best dealership experience I have ever had ! Start to finish was outstanding! Raymond Lewis is phenomenal! He was patient with me . He never made me feel rushed or foolish for asking simple questions multiple times . I felt like I was being taken care of and not pushed into anything. Same goes with Johnny Mora . Everything with the financing was explained in such a way that made it easy for me to follow and understand! Both individuals made the DTLA Toyota organization shine today ! Friendly staff. No pressure from the internet staff. I would return to this dealer. But, do your homework ahead of time and check Costco pricing, if your a member. Saw the car online, got it the next day! Ray provided excellent customer and ensured I left with the car I wanted. He took his time and explained the differences of each car to me and my family. He went up and beyond what was expected. I would definitely refer him to others. No phone calls No pushy agent Professionalsm Great human been Patience he showed me mkre than 2 hrs cars Fair price I like his way to sell !’ Extremely recomend him RAY YOU MY MAN!! Ray was incredibly knowledgeable and helpful. I truly felt like he got me the best deal. Great customer service. All around great experience. If you are looking for a Toyota, Rays your man! Great selection of cars with wonderful salesman! Ray made buying a new car painless and easy. Gave me a great price on the car with all the features I wanted. Will shop here again! Came to the dealership after shopping around for two weeks, the staff I worked with made the experience quick and easy. I left a happy customer with a pretty sweet deal for my first car. The sales man sold the vehicle even when I was still at home. He hold his word about the price and helped me all the way through it. 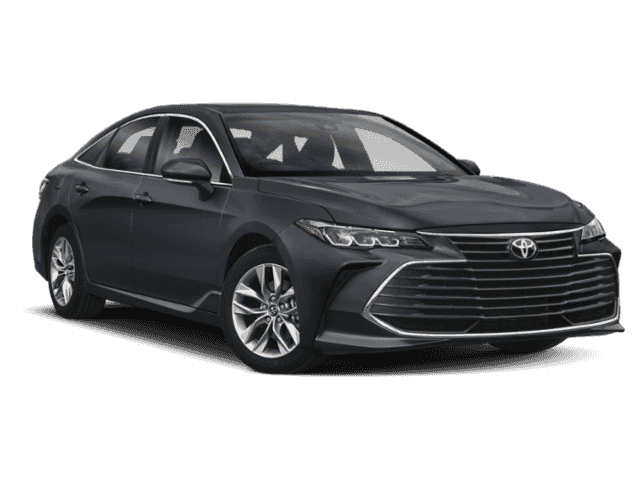 The purchase of my 2019 Camry SE was hassle free, straight forward and without difficulties. Raymond, the sales man, was to the point and look for every necessary detail to make the purchase a win to win experience. Ray was great in finding the car. The price is not the best, but the car is certified. The dealer have sufficient information on the site. Working with Ray made the experience enjoyable. He was very friendly and took his time to listen to what I was looking for in the vehicle and pricing. I appreciate him working with me to get the deal I am satisfied with! Hi is the Greatest dealer we had. Just pick him! Really nice service. And great price. And great friendliness. A real five star dealer you must pick. Raymond Lewis made my purchase simple and easy. He was very friendly professional and welcoming. The car was pulled up and ready for me to view and take for a test drive! Thank you Ray! I'm the tallest guy at the dealership! My experience at Downtown Toyota was efficient and professional. Hank and my Finance guy were both great. I love my new Prius and am sure I'll be back in 3 years for a new Toyota! Campare to other dealer I will highly recommend this dealer to anyone! They are very expert to their customer know what customer want! I am thanks to their effort! Staff was very professional and helpful. Made the buying experience very easy and stress free. Left with a new car at a great price I was satisfied with. Excellent experience. Easy and painless. Richard and hank made the purchasing experience very easy. I was about to find my car, sign and leave in no time. Thank you guys. I had been looking for a car close to a month, with no luck of finding something I loved at my budget. Multiple test drives later and dealing with horrible sales people I finally decided to come to Toyota of DTLA. I somehow got in contact with Hank, he was so personable and easy going. He made me feel completely comfortable with something I hate doing ( buying cars). My family and I headed to the delearship and overall it’s been the quickest process we have had and the best! Thank you Hank for all your help, if anyone is in the process of buying or leasing a car her in touch with Hank. Hank was so very helpful. I was double minded on which car was right for me. Hank was very patient and compared different cars and got us in the car that was right for me and my family. This Toyota team is awesome! Everyone was great to work with. We're so glad we bought from this dealership. My husband loves his 4Runner. He's the happiest guy ever! I used the Costco buying program and it was quick and Painless. Hank showed me all my options and walked me right through the process while making sure I got a great deal. I didn't know buying a car could be this easy. Hank was really great in helping us with my 2019 Toyota Camry Hybrid. We knew what we wanted and Hank helped us get there. He was very straight to the point which is much appreciated. First I must say that I really, really hate buying cars and I was also fighting a cold during our experience with DTLA Toyota. With that said, my girlfriend and I really had a good experience buying our car here. Hank and Jaime were straight forward with no pressure and didn’t trying playing the normal games with numbers that we’re used to. We went in knowing exactly what we wanted with a pre-approved loan from my bank. Although, we already had a pretty low interest rate, Hank was able to offer us an even lower one through Toyota. I must also mention that Hank gave me an awesome price on the car that we were looking for over the phone so we drove all the way from Huntington Beach to lock it down. I’m sure that somebody might have beat his offer by hundred bucks or so, but because he was so straight forward over the phone and we had already dealt with some sneaky salespersons from about ten other dealerships the previous two weeks, we were happy to give him our business. I highly recommend buying your vehicle from DTLA Toyota as well as asking for Hank when you get there! Estoy encantado con el servicio, la atención de todos sus empleados en especial Hank wow fue muy atento y servicial. Y claro que lo recomendaría. Hank was great and straight to the point. Once I made my mind up we were off and running. I felt I got the deal I was looking for. Excellent experience. Customer service was top notch. Great customer services and they help you with what pricing for leasing a car. They also explain on what topic you dont understand to make it clear to you. I have purchased many vehicles in the past, and the experienced that I received in dealing with Hank surpassed all previous buying experiences. Dealing with Hank was simple and stress free. I had previously worked with other dealerships but I was not convinced that I was getting the best deal. After speaking with Hank, within minutes, I knew I was getting a great deal. We agreed on a purchase price before stepping into the dealership. When we arrived at the dealership to purchase our vehicle, we were pleasantly surprised with how nice the dealership showed. Everyone that we met was pleasant and very professional. In short, I'm a car guy. I love cars. Will use my experience and knowledge to help you find the right car!! My experience was very positive with everyone at the dealership. Jin was very knowledgeable about the vehicle and helped me learn the features of the 4 runner. Oscar was very professional and efficient in getting the deal closed promptly. I like the customer service Mr. Chun provided. He explained all aspects of the buying process, from the price given to the delivery of the car. I can't speak highly enough about Jin. I ask A LOT of questions, and he was super patient and answered all of them. Furthermore, he paid attention to the things I was looking for in a car and tailored his recommendations to them. They didn't have the Prius XLE in the color I wanted and he spent a month looking for one. He kept in touch the entire time and when the car finally came in, he made sure to go over every inch of the car with me so that I knew what and where everything was. This was my first time buying a car on my own, and Jin made it super easy. A+ across the board! If you want a new Toyota, go to Toyota Downtown L.A. and look for Jin Chun. He is communicative, courteous, polite, patient, friendly, and knowledgeable about the car we wanted to purchase. He helped make everything easy from start to finish and made what would have been a stressful activity a relaxing one. He was never pushy and always made us feel comfortable from the very beginning. If you want a hassle-free car buying experience with a great deal on a Toyota, I highly recommend contacting Jin Chun first. Johnny Mora was the finance manager who helped us wrap everything up and got us processed quickly and efficiently. We love our new Toyota and it's all thanks Jin Chun, Johnny Mora, and Toyota Downtown L.A.. Thanks again guys. Excellent, friendly, and hassle free experience overall. The Sales Agent was fantastic and made a normally stressful situation much easier. I went in prepared for a long drawn out process in which trying to be sold options/products that I didn’t need or want. Instead it was the opposite; no pushy salesman or constant ‘let me talk to my manager to see what we can do’. I was in and out in a matter of a couple of hours. In this case Toyota of Downtown LA made it easy. Everyone we dealt with was professional and curteous. That good about this was that most everything was taken care before getting to the dealership. Basically we just went and sign papers. How good was it? Great! In the future my nephew is buying a Toyota and we headed Downtown. Cannot thank you enough for the price of the car and the interest rate. Jin was amazing. Made it a super enjoyable experience. I would fecdowmjd him to anyone I know lookingbtonswoop yo a Toyota! Thanks Jin. You the absolute best!! People at Downtown Toyota are very efficient & courteous . The entire deal was explained to me in great detail , and the car was delivered in a timely manner and in excellent condition. Awesome experience, and I would recommend Downtown Toyota to anyone interested. Thanks. Jin chun is my Internet salesman. He is cool and friendly. When I was at the car dealership, I didn't feel any pressure choosing a car. Some salesman will try to push you buying a car right now or certain time. He didn't. I believe the first impression is very important. He answered all my question about the car. I would recommend him without hesitation for shopping a car. Went on a Saturday to look at a specific used car we wanted and intended to pay cash. Called in with a question and no one returned my call. We decided to just go and look at the card for ourselves. Dealership was packed, good for you, not so much for customers. Took forever to see finance for a car we paid in cash for. Forever to get cleaned. We were there about 4.5 hours and only looked at the one vehicle. Norma and Richard were nice. Norma explained things clearly and in a straightforward manner. Always so kind and ready to help and solving your doubts! Richard Silva is directly on the point, transparent and he was much faster than others dealers we visit before! Our experience there was amazing! Thank you so much! We really appreciate all dedication from all staff! The salesman, Richard Silva, was friendly, professional and very helpful. He made sure we got the car we wanted at a great price. We never felt pressured by either the salesman or finance. It was a great experience. Born and raised in Los Angeles. I am not your typical sales person. I am very patient, understanding and upfront. I am the oldest of 3 children, my parents have been married for 25 years and have raised me to show respect and gratitude. "Treat someone the way you would like to be treated". I am here to make your experience fast and simple. I will answer all the questions you have since I am Toyota Certified and am very well aware of my product. We are fortunate to have been able to have Julio Garcia as our sales associate. He was patient, kind, and very attentive. We are extremely happy worth our purchase and the buying process was made super easy by Julio. Carla was very helpful and nice, I will recommend her to all my friends and family and look forward to work with her in feature. This dealership was very professional, clean and helpful. The services I received were excellent! The place was very well organized and everyone there really tended to our needs. I will definitely be recommending this place to friends and family. Julio Garcia @DTLA Toyota was great and a pleasure to work with. Located the vehicle I was interested and provided me a great deal. Thank you to all at DTLA Toyota. Second time I buyer here. Carla salimbangon helped me the first time. Since that first experience I been recommending people to the online reps. Better deals and no xxxxxxxx when it comes to buying a vehicle. Dealership was friendly, and attentive. They gave me a financing plan that really worked out for me. I would recommend folks purchase and negotiate through internet pricing rather than traditional walking in. Less haggle. John Vega was good to work with. John was courteous and not pushy as salesmen tend to be but he was on it he got us the exact 4runner we wanted and did it impressively quick. I will be purchasing the Tacoma with him next. John Vega was incredibly helpful and eased my first time buyer worries. He was very personable, fair, and honest. Jason Park was also great, he helped with all my financing questions and got me a great deal. I’d recommend both employees and the dealership to family and friends. Internet sales rep. John Vega was of great help and support. Even though I didn't get what I was looking for, he helped a lot on getting me a car I was happy with. John Vega did such an amazing job at helping me make a new purchase. He was very professional, respectable, and patient with helping me meet my car needs. I felt in really safe hands, being a first-time buyer. I valued his honesty and diligence with working with the Toyota family to make my experience an exceptional one. I highly recommend others to come to him if they want an amazing car deal. I feel that I am now a a part of the Toyota family and I will most definitely do business with him and DTLA dealership again in the future. From the first phone call to the sale conclusion, John was honest and straightforward and I knew they were giving me the best deal on my 2018 Prius Touring Three. I called around to five other dealerships, and none of the other dealers came close to giving us the low price that Downtown Toyota gave us. The dealership building itself is new and not depressing, and the financial guy who finished the deal was also nice and straightforward. I had a great experience. I wouldn’t go anywhere else for a Toyota. I went to the Toyota of Downtown L.A a few weeks ago looking for a new car and had the pleasure of getting a salesperson named Norma. She and the workers were polite and nice and it was definitely a great experience overall. Good prices,awesome costumer care team,the employees at this location are a great asset to this company who I have grown to live and trust. it was a much greater experience the one i had the day i went to do business with toyota of down town LA . i went for a car i really wanted the way i wanted it and it was available . i was pretty specific when i told the people how i wanted my future car to be . and they brought it to me in a very professional manner . its a busy place , so the time people spend there can be considerable , but to be honest i did not care how long i was there . the time did fly by . in a matter of time another happy face was driving out of the car dealer this sweet camry SE . even when i did not make an appointment i was received with open arms . special thanks to everyone who was involved during the process of the purchase of my car . from sales person to people in charge of finance and the people detailing my ride before it was given to me . those are most of my PROS . now with the CONS : maybe it needs to be a little more organized , i mean a designated area of possible buyers separate from people who is there just for car maintenance . as well for parking for possible buyers . when i person goes there, you end up parking next to cars on display or cars that are waiting to have some service done. overall i give you a 5 stars service.thank you toyota of down town LA . Well what can i say , I purchased a new 2019 Toyota Camry XSE and salesperson Andrea made it very easy for me. I’m very thankful for her being such a great help. Thank you Andrea and thank you Toyota of Downtown LA. All people I dealt with were very courteous and informative. I had to wait a very long time between interactions, mostly without explanation. The only problem was the wait. Was good experience people is super friendly, I like to going there always have what I need. This is my second time getting car  there am happy the experience always excellent. Connect with one of our top rated specialists. * Prices do not include additional fees and costs of closing, including government fees and taxes, any finance charges, $85 dealer documentation fees, any emissions testing fees or other fees. All prices, specifications and availability subject to change without notice. Contact dealer for most current information. Why Choose Toyota of Downtown LA? 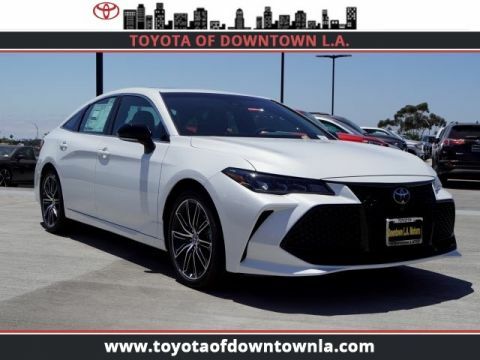 At Toyota of Downtown LA, our large inventory and wide selection of models, along with competitive pricing, allow us to make you a great deal on the vehicle of your choice. Located in the heart of Downtown Los Angeles, we also serve Santa Monica, Hollywood and the surrounding areas. Se habla español.